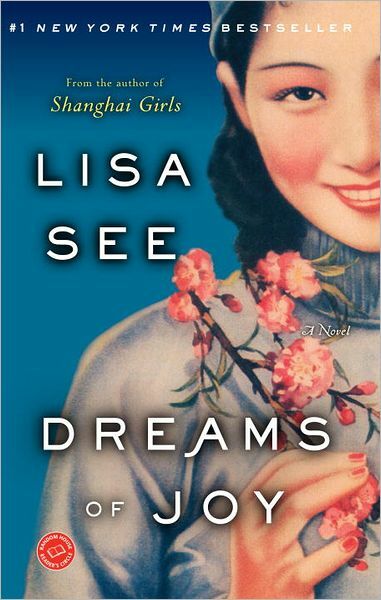 While Dreams of Joy is the sequel to Lisa See’s bestselling novel, Shanghai Girls, it also can stand on its own two feet beautifully. See has an impressive ability to create frustratingly real characters — readers will want to reach through the book and shake some sense into Joy, while at the same time, want to comfort her. Offering a haunting peek into Maoist China, this exquisitely rendered novel is now out in paperback and is our Red Hot Book of the Week. The year is 1957, and 19-year-old Joy has just uncovered some deep, dark secrets about her family. Devastated by what she’s found, Joy makes an impulsive decision — she will return to China to seek out her true father. Joy has been dazzled by the propaganda that communist China has been spreading around the United States and truly believes she will find a better life there. Her mother, Pearl, is baffled and infuriated by her daughter’s choice, yet her motherly instincts prevail, and she knows she has no choice but to pursue her daughter into the country she fled so long ago. When Joy arrives in China, she immediately sets out to find her father, an artist who has fallen out of favor with the Communist Party. Meanwhile, Pearl arrives in Shanghai, stricken by how much everything has changed. When she left, she was the daughter of a wealthy man, well-respected by the community. Now, she is lucky if she can find a roof over her head. See captures a difficult, bleak time in history through Dreams of Joy, including Mao’s Great Leap Forward. The hardships that Joy must endure are vast and she quickly rises above the difficult, willful girl she was at the beginning of the novel. While not always an easy book to read, it’s incredibly well-written and eye-opening for anyone unfamiliar with this period in China’s history. Pearl and Joy are beautifully rendered, fully developed women, who make their own choices and mistakes — readers will appreciate seeing this difficult world through their eyes.